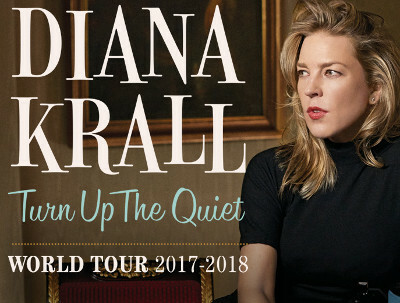 Quiet was released on May 5 and debuted on this week's Billboard 200 at number 18, a great position for a singer of standards and in a jazz style, but a bit of disappointment based on her recent accomplishments. It's her first album since 1999 to not make the top ten. 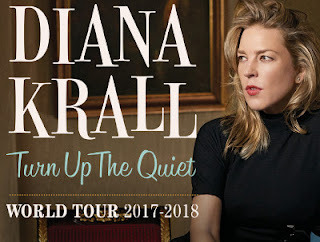 Nonetheless, Krall is a concert favorite, so expect her boxoffice to be great over the 78 dates currently on the books. The tour opens on June 2 at the State Theatre in Minneapolis, MN and sticks in the U.S. until a two night Hollywood Bowl run in mid August. Then, on September 10, it's off to Europe through October 17 before returning for a trek across Canada in November and December. 06/18 - Providence, RI - Providence Perf. Arts Ctr.